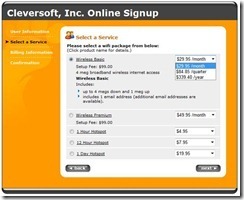 WiFi Signup Server Setup Instructions: Follow these instructions to enable the WiFi signup server for your ISP. This will allow potential customers to sign up online for monthly recurring or one-time hotspot wireless internet access. 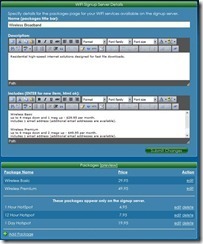 Packages that are enabled in the Ultimate Back Office software will be shown on the top half of the Packages table as shown in the image below. 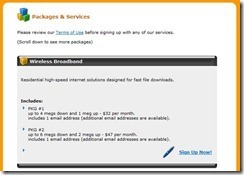 Hotspot services can also be added here to allow customers to sign up for temporary access. 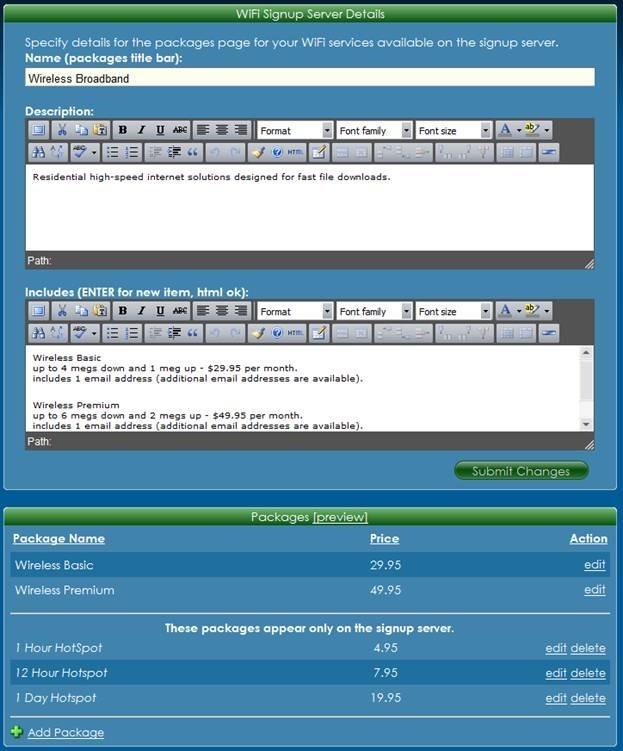 Hotspot packages will show up in the lower half of the Packages table as shown below and are not added into the Ultimate Back Office software. 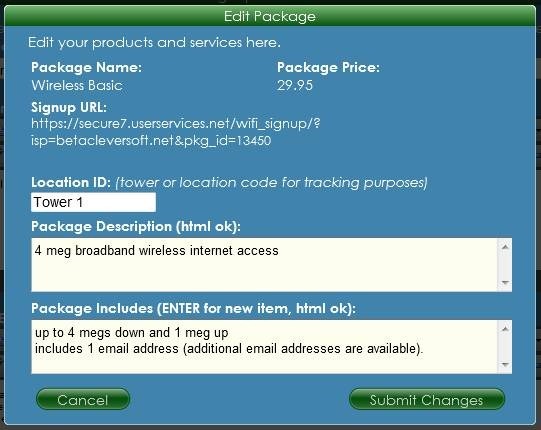 Click Edit to the right of each package and fill in the Package Description and Package Includes as shown in the image below. After filling out the necessary information, click Submit Changes. 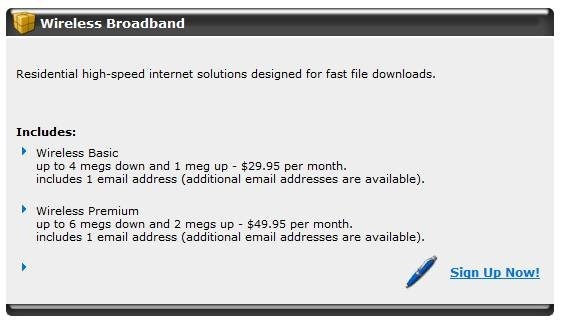 This information will be displayed on page 2 of the signup server if a potential signup expands any of the available WiFi products to view what is included. 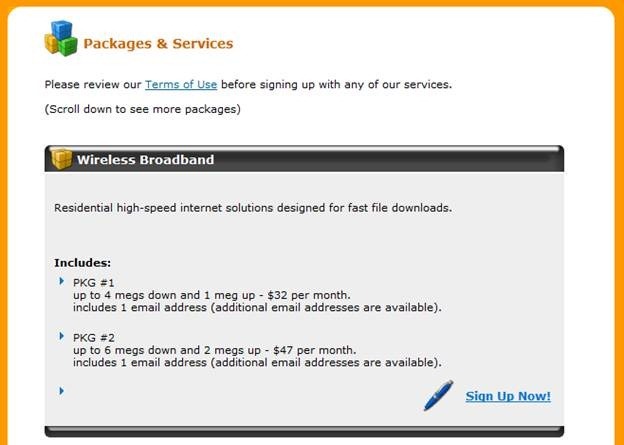 If you were listing WiFi packages on your packages & services page prior to this, this information may already be filled in. Testing the WiFi Signup Server: To test the signup server go to your portal site by simply clicking the Preview Portal link on the top-right corner of the page. 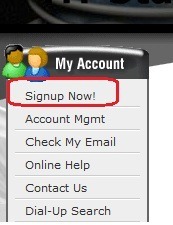 On the portal site, click Signup Now. Scroll down and look for the WiFi Package that you setup. 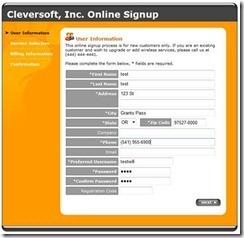 Verify that the formatting looks correct, and if anything is invalid, refer to the instructions above on How to configure the WiFi Signup Server Details: Click Sign Up Now! 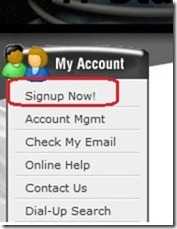 to launch the online signup so that you can test the signup process. 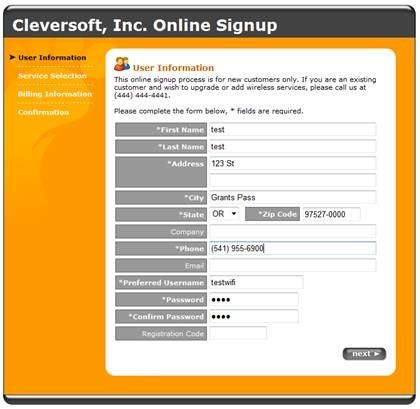 After filling in the User Information on the first page of the online signup form, click Next. 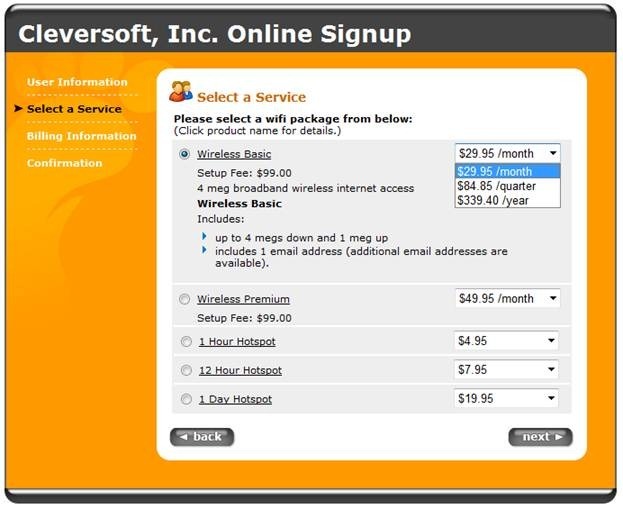 Select a Service: All of the WiFi packages and services that you’ve enabled in the Ultimate Back Office and all of the hotspot packages that you’ve set up on the Support Site will be displayed here: By clicking on each package, it will expand the information to view the Package Description and what is included in a certain Package (as shown in the image above for the Wireless Basic package that we had setup earlier). 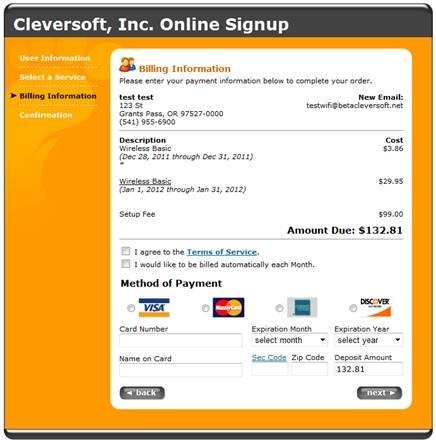 Clicking Next will then display the online payment form that a potential subscriber would fill out to complete their online signup with you. 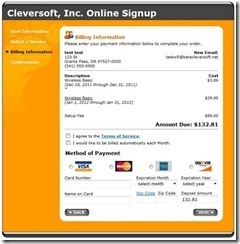 We recommend, unless you’re using your own authorize.net account, that you do not complete the final step or your credit card will be charged. If you do maintain your own authorize.net account, feel free to put your authorize.net account in ‘test mode’ and complete the entire process, and when done, remove the test from your Billing & Management software so that you are not charged for it. - - - If you do not use the portal site provided by visp.net, you can link directly to the WiFi signup server using the following link: https://secure7.userservices.net/wifi_signup/?isp=yourdomain.com. Be sure to replace 'yourdomain.com' with the ISP domain you have registered with visp.net.